When it comes to a meeting, Samabe Bali Suites & Villas attempts to present arrangements beyond the expectations. From the set up to service, it offers a luxury meeting experience. Therefore, it launches a new table set up for Banten Room this February. The luxury Bali resort selects the combination of light brown and dark brown as the main color of the set up. 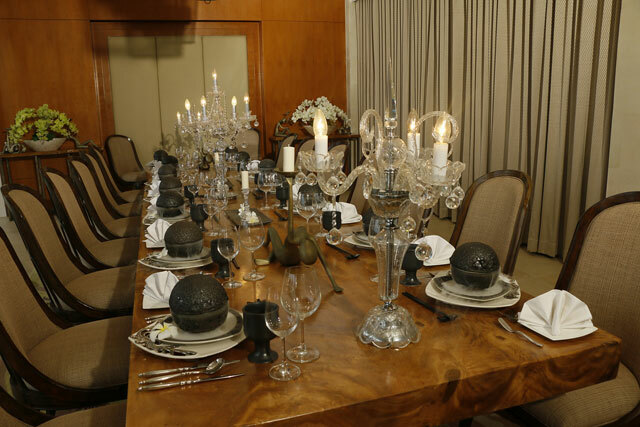 The new table arrangement involves dark brown bowl with dry ice giving the foggy effect to the food, paired with the same color of goblet. Crystal chandeliers boost the lavishness of the set up.